THE crisis afflicting Pakistan’s mainstream print and electronic media sphere is escalating. Apart from a series of high-profile resignations and sackings, there are also reports of several print publications cutting down on junior staff, with some rumoured to be shutting down completely. Wage disbursement delays, a perennial concern for many in the trenches of the industry, appear to be even more pervasive these past few months. The causes behind this downturn are numerous and have been discussed in detail elsewhere. State censorship concerns, selective release of government advert money, and poor business practices on part of media owners have all played a part. As is the case in a number of other developing countries, the domestic consumer market, and its related advertising industry, does not appear to be big enough to sustain a plethora of private media outlets. Consequently, government advertising revenue and cross-subsidies from other businesses run by media owners fill in the shortfall. In Pakistan’s case, this problem is perhaps made more pervasive by the sheer number of players in the television news space, quite a few of whom have likely not entered with media-related intentions. The young and urban population is the future market for Pakistan’s media and cultural production industry. It remains to be seen whether the media market undertakes a short-term correction in the shape of rationalised wage structures at the top and fewer channels/publications, or if this dip will produce a more ‘regulated’ (and coerced) media sphere. Either way, these trends pose larger questions about the future of news information, and cultural production and consumption in general. The starting point for this discussion, as with most others, should be Pakistan’s demographic reality and its two underlying pillars: youth bulge and urbanisation. With 64 per cent of the population under the age of 30 (29pc between the ages of 15 and 29), and an underestimated 40pc living in urban areas, this is quite literally the future of the country. 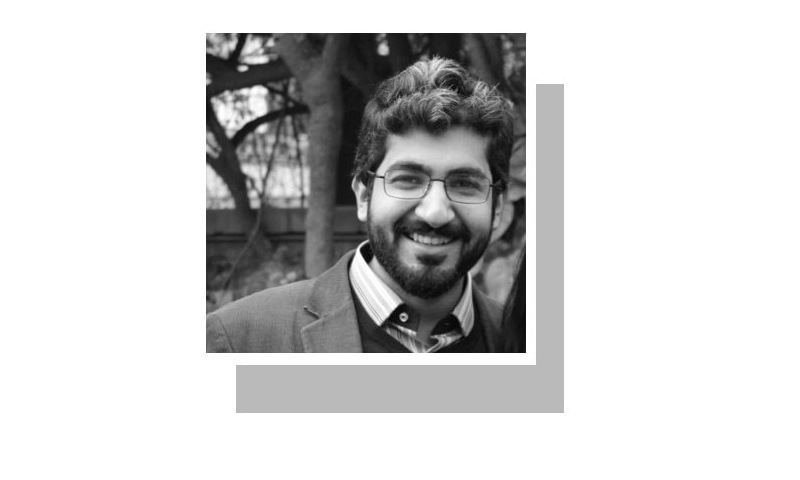 There are obvious caveats here — not all urban areas are alike, and ethnic and class-based differences do relate to different cultural outlooks — but by and large, as several recent studies (such as the UNDP’s National Human Development Report) have shown, young people across Pakistan share similar aspirations, similar expectations and similar frustrations. This young and urban population (and all its internal differences and stratifications) is the future market for Pakistan’s media and cultural production industry. And yet it’s not entirely clear whether those in the business of selling news or entertainment through conventional outlets are cognisant of this reality. My occupation compels me to engage with a reasonably large number of (relatively privileged) 18- to 23-year-olds. In some of my recent conversations, I’ve made it a point to ask them about their primary sources of news and entertainment. As anyone who’s ever been around young people may guess, TV channels and newspapers are rarely mentioned. The number of retired bureaucrats reading opinion pieces in newspapers, such as this one, probably outnumbers the number of young people who might accidentally go through it. The thought of flipping through a newspaper or sitting in front of frequently hysterical news anchors to obtain information or analysis is frequently mentioned as both archaic and boring. These generational divergences are most pronounced in particular realms of cultural consumption. For example, the Pakistani market is no longer immune to the internet’s ability to provide an endless stream of on-demand entertainment. Despite low levels of broadband penetration (and the tyranny of low quality exercised by one former government-owned telecom utility), the gradual spread of high-speed cellular connectivity has made entertainment provision over the internet a fairly common feature of urban life. YouTube and Facebook videos, in particular, are now considered mainstream entertainment for young people, along with paid and pirated streaming services. Such shifts are also intertwined with cultural production offline, with major urban centres such as Lahore, Karachi and Islamabad slowly seeing the rise of entertainment avenues (like theatre, events, even stand-up comedy) that cater to the sensibilities and preferences of young people. Predictably, neither these formats nor such content is visible on our mainstream television outlets. Cultural shifts in large demographics carry obvious implications for the future of media in this country. It is not clear whether tastes and preferences for information and entertainment will become staid, conventional, and thus amenable to current output in the future. The idea that young people will become like their parents does not take into account the scale of divergence and the age at which this divergence is solidified. It’s not the same as it was in the 1980s, when someone watched cartoons on PTV at age seven and then watched the khabarnama a decade and a half later. Alongside commercial concerns, there are clear-cut political implications of how culture is consumed. The quality of news and analysis over the internet varies significantly, and the reality of fake news carries obvious ramifications for how young people approach the political world. Beyond concerns about the future relevance of traditional news outlets, there are also reasons to be concerned about the political socialisation of young people on the internet, which is often unfiltered, post-factual and deeply partisan. How do you cultivate an audience for factual reporting and analysis, and then reach out to them using language and techniques that they prefer and are most familiar with? These and other questions carry relevance now as discussions about the future of media in Pakistan gains traction and decibels. Understandably, big-ticket questions over media freedom and the financial security of media personnel will take the largest share of our concern. But perhaps it’s also important to start a parallel conversation by asking whose tastes, preferences and interests does the media sphere currently cater to, and whether that in itself could be its undoing in the future. The few minutes I watch TV news, or any political show, I get disgusted only after few minutes. There is loud music in between news, and many things are repeated continuously to place emphasis. The graphics, the music, and the continuous shifting of one screen to other, is very non-appealing and totally unamusing. The anchors host too many guests, and then needlessly interrupts them with full voice, or the guests are not advised when to start or stop and pay respect to a divergent set of opinions. Some guests are professional 'invitees", they are there all the time and one can easily imagine what exactly they would speak. The whole thing is torturous. Please stop this tragedy and shut some TV stations. They are overlapping, meaningless, financially not viable which means easy to e manipulated by vested interests. They are absolutely doing disservice to our country and spreading hate, depression, hopelessness and disinformation.